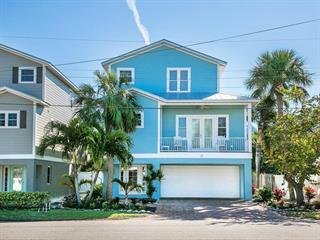 Listing courtesy of Anna Maria Island Beaches Re. Ask a question about 238 S Harbor Dr, or schedule a tour. 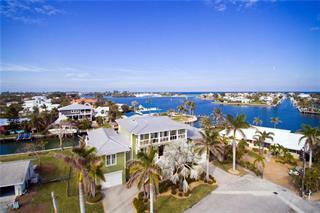 Welcome to the "Bayfront Paradise" a spectacular Key West Waterfront home new in 2013. 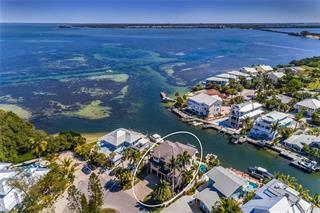 This gorgeous Anna Maria Island Bay Front home features phenomenal panoramic bay VIEWS, VIEWS AND MORE VIEWS of Anna Maria Sound from almost every r... more.oom. 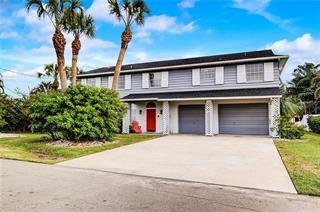 Only one of 7 Bay front homes that is zoned R2 which allows for weekly rentals. Exceptional design and quality custom appointments throughout the home. 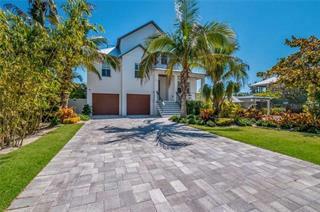 This impressive waterfront home has 5 bedrooms/4.5 baths with 3129 sq.ft. of pure luxury. Features include Travertine and solid wood flooring, custom wood package on all doors/bead board accents through out, crystal door knobs, Wolf appliance package, , all decks with IPE powder coated aluminum railings, metal roof, 71/2 inch baseboards, coastal turnkey furnishings, high impact windows, and 2 car garage. Bayfront Paradise offers phenomenal cruise ship views throughout and you can even enjoy the sights of the renowned Sunshine Skyway Bridge - right from the living room and Master bedroom. 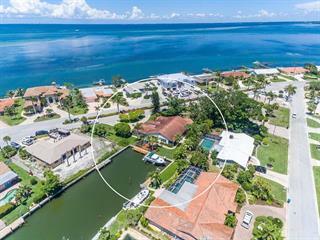 Additional features include your own private heated pool and spa all surrounded by tropical landscaping including a new seawall and new boat dock. 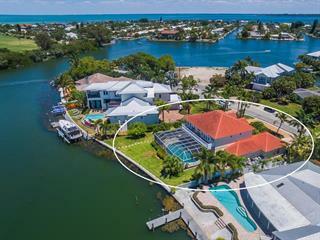 Call for your appointment today~ here is your opportunity to own a successful vacation rental home and/or your "Bay Front Paradise" waterfront retreat.